Increases immunity. Inflammatory.It has beneficial effects on allergies, infectious diseases, intoxication. 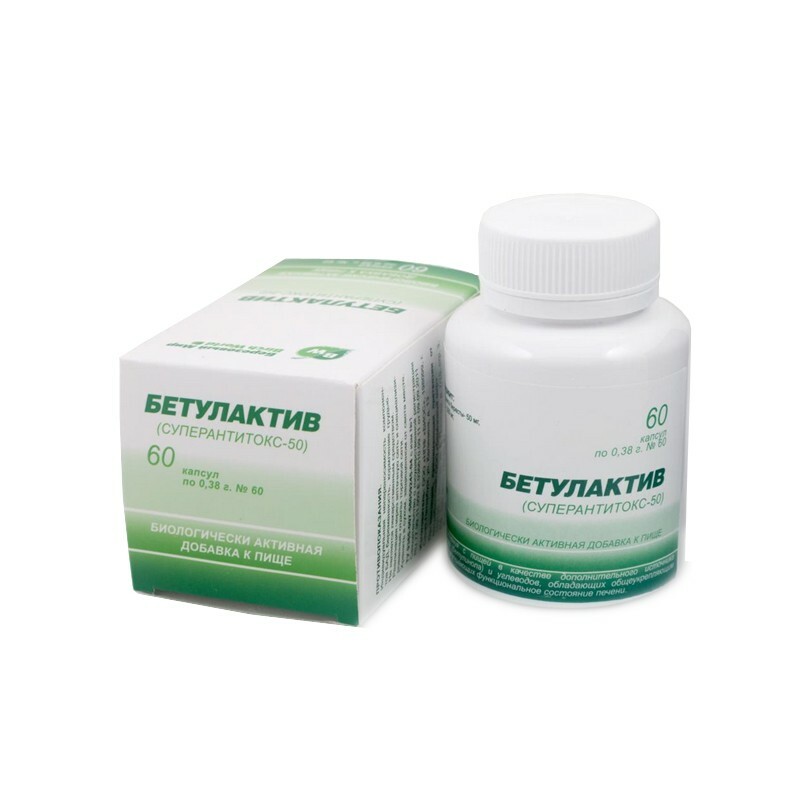 Natural vegetable adaptogenic product containing extract from the surface layer of the bark of the white birch, containing the active substance betulin. Adaptogenic activity of the extract helps to increase resistance of the organism to adverse environmental factors. It makes it easy to overcome stress and contribute to a good mood. 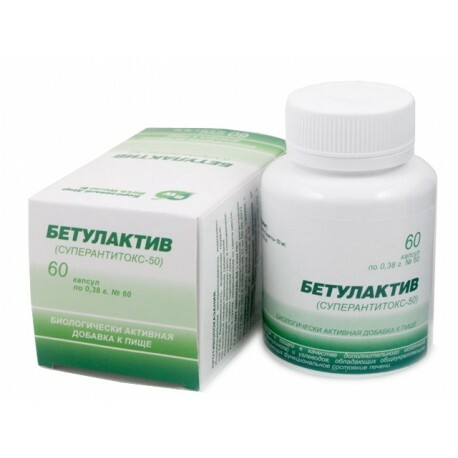 Thanks to the presence of betulin in the composition of a food supplement to stimulate the production of interferon by the body, which means to increase the immunity of the cellular and general level. Intended for use during feeding, as an additional source of triterpenic compounds / betulinol / flavonoids and holding a general restorative, positive influence on the functional condition of the liver. Supports immune system function. In adults, 1 capsule three times a day with meals. Do not use as a substitute for a varied diet. Individual intolerance to the components, pregnancy, lactation. Do not be taken by children under 12 years.